This web site was the campaign web site for Chris Huhne MP in the Liberal Democrat leadership election in early 2006. The Party leadership election ended in early March 2006 with the election of Menzies Campbell MP as the new leader of the Liberal Democrats. Chris Huhne came second. 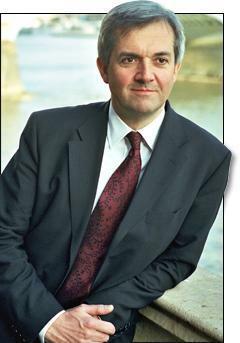 Since then, Chris Huhne has been the Liberal Democrat Environment spokesman. You can read about Chris' work as MP for Eastleigh and Liberal Democrat Environment spokesman at the sites below. Printed and hosted by Prater Raines Partners, 82b Sandgate High Street, Folkestone CT20 3BX. Published and promoted by Chris Huhne - Liberal Democrat Environment Spokesman, 109A Leigh Road, Eastleigh SO50 9DR. The views expressed are those of the organisation, not of the service provider. Huhne Campaign web site design by Prater Raines Partners.